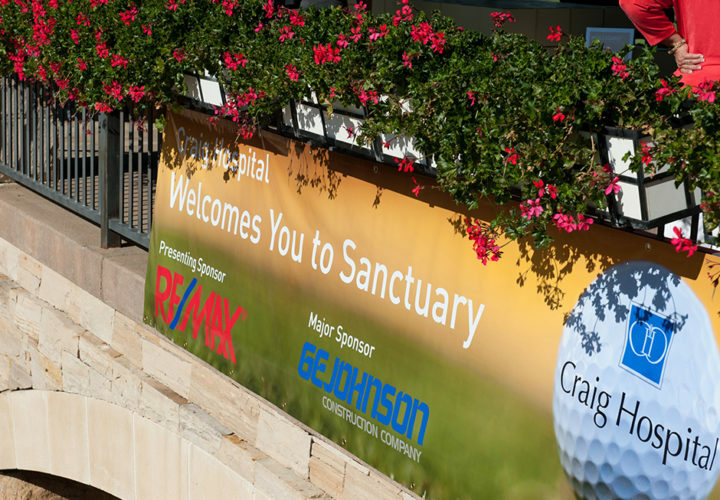 Craig Hospital will host its 18th annual Craig Hospital/RE/MAX, LLC Invitational Golf Tournament on Thursday, June 25, 2015 at the spectacular Sanctuary golf course in Sedalia, Colo.
Craig supporters Dave and Gail Liniger, founders of RE/MAX, LLC and owners of the Sanctuary, chose Craig to be one of the limited number of community and charitable organizations invited to host an event at the course. Over the years this event has raised more than $2 million support Craig Hospital programs. Craig Hospital is a world-renowned center for specialty rehabilitation and research for people with spinal cord injury and traumatic brain injury. The 93-bed, private, not-for-profit, free-standing long-term acute care and rehabilitation hospital provides inpatient and outpatient medical care, rehabilitation, neurosurgical rehabilitative care, and long-term follow-up services. The proceeds from this tournament will be used to support these programs and benefit the lives of Craig patients and their families. 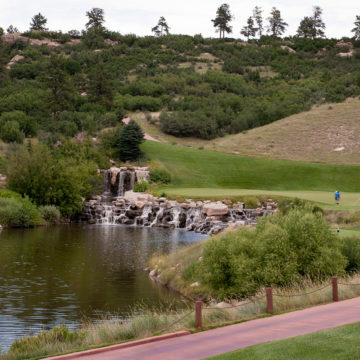 A wide variety of sponsorships are available, including foursomes for $6,000 and individual player sponsorships for $1,800. Sponsorships including signage and other special recognition are also available. More information is available at craighospital.org/events. All sponsorships include a brunch buffet and dinner. Questions can be directed to event manager Sue Lynch at 303-789-8578.